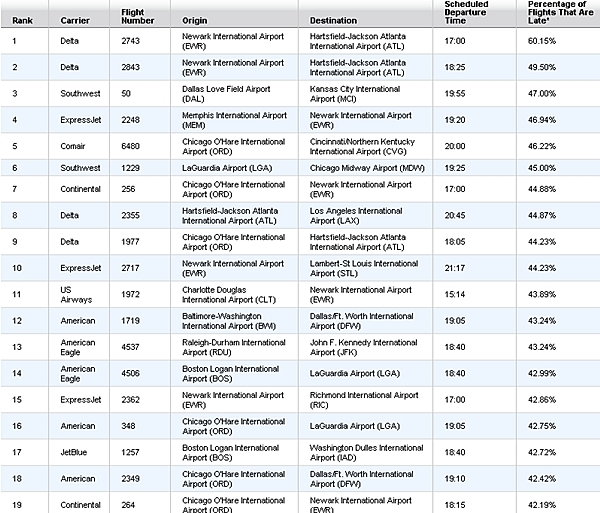 Departure Airport Status: Some airports are notorious for having a lot of flight delays: Newark (EWR), Chicago (ORD), Boston (BOS), New York LaGuardia (LGA), Atlanta (ATL), Miami (MIA), Minneapolis St. Paul (MSP), New York JFK (JFK), Los Angeles (LAX) and Northwest Arkansas (XNA). 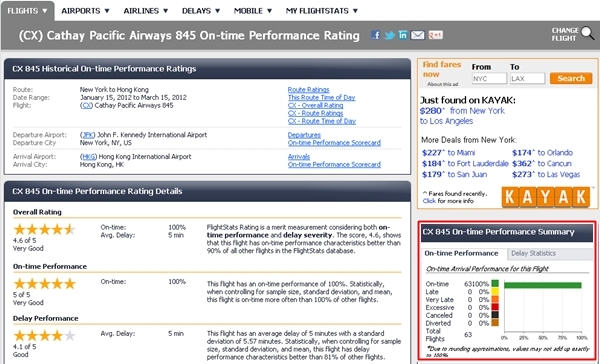 FlightCaster, though, focuses on actual FAA alerts for your departure airport. 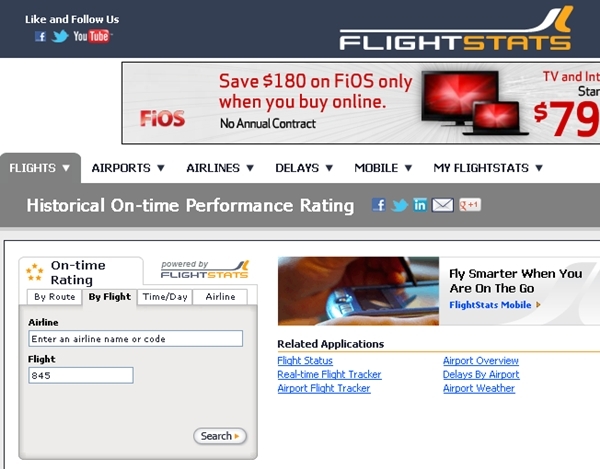 Ok, so Flight Caster may look nice, but it doesn't work for international flights and doesn't exactly help when deciding which flight to book. For that, you basically need to go on historical flight on-time performance. One tool that does this is Flight Stats. For the example, I plugged in a flight I'll be taking later this year, JFK-HKG on Cathay Pacific. Pretty impressive that for the 3 months of historical data or so evaluated, this route has been 100% on time! Personally, I wouldn't bother with the info on the left, and would just focus on the On-time Performance Summary percentages in the right-hand box. 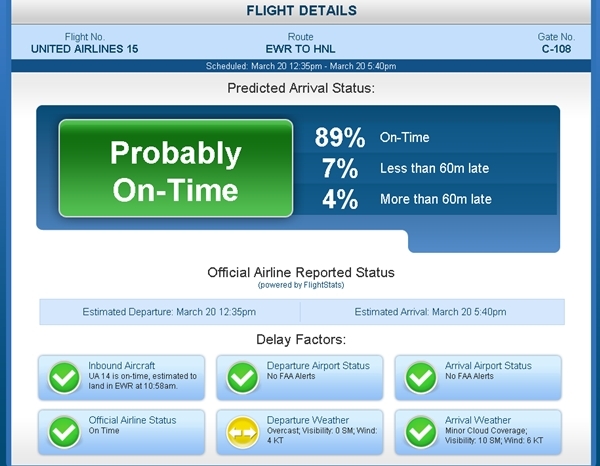 So there you have it–what are your favorite tools for predicting flight on-time performance and flight delays?